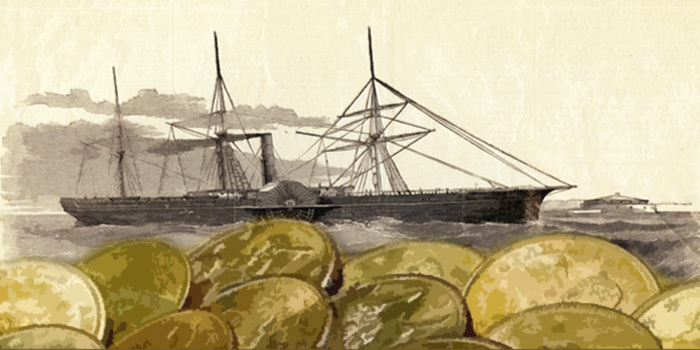 A 280-foot long, three-masted side-wheel steamship, the SS Central America was carrying tons of California gold that had been shipped from San Francisco to Panama when she sank in a hurricane during a voyage from Aspinwall (now Colón), Panama to New York City in September 1857. The shipwreck site and the gold were discovered more than 7,000 feet below the surface of the Atlantic Ocean in September 1988. 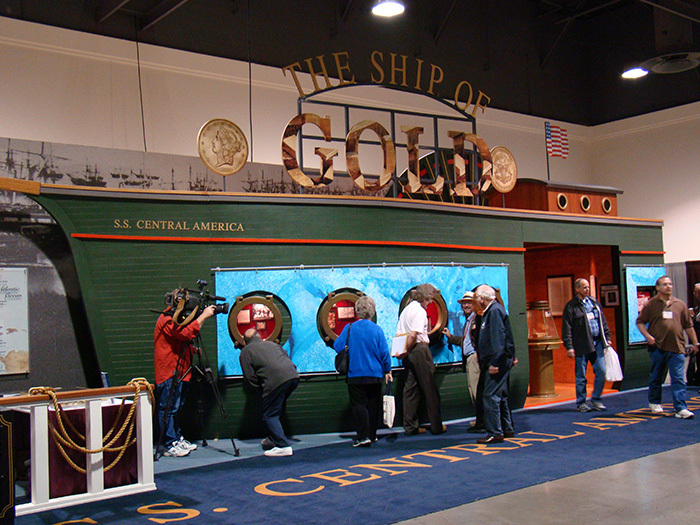 Housed in a 40-foot-long re-creation of the famous ship’s hull, the Ship of Gold exhibit originally debuted at the February 2000 Long Beach Expo to display a portion of the vast treasure from the first SS Central America recovery operations in the late 1980s. The exhibit subsequently was seen over the years by millions of people across the United States and overseas. 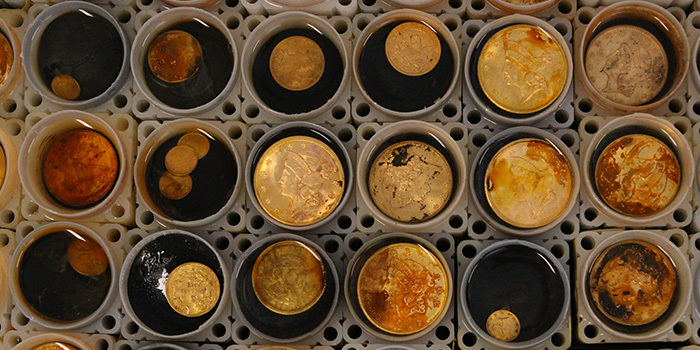 This latest display will showcase many of the 3,100 gold coins, more than 10,000 silver coins and 45 gold ingots that have been held in secure vaults since they were retrieved from the ocean floor four years ago. 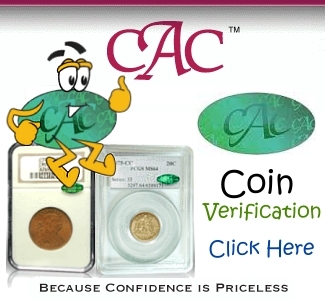 All the coins are now being certified by Professional Coin Grading Service (PCGS) using the new PCGS Gold Shield™ service. “The exhibit also includes a type of historic SS Central America items never before displayed: leather satchels filled with more than 1,000 ounces of 1857 California gold dust that were recovered from a safe on the sunken ship!,” exclaimed Manley. The gold dust is contained in the original pokes, hand-sewn sacks that remained sealed since 1857 or earlier. “This is truly an international discovery. In addition to all the United States coins, the trove includes many coins from around the world, including two Australian gold sovereigns struck in Sydney in 1855 and 1856, and both are the finest known. There also are gold coins from France, including a Napoleon 20 francs, British gold sovereigns of Queen Victoria, Mexican eight escudos, Netherlands ducats, Dutch guldens and Peruvian gold, too,” said Manley. Robert D. Evans, the chief scientist on the 1980s mission that first located and recovered a portion of the fabulous sunken treasure and who assisted with the 2014 recovery, will be at the exhibit each day during the show to meet with visitors. 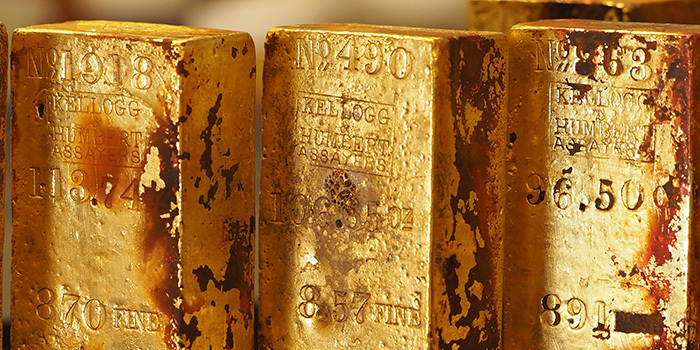 On January 9, 2018, the California Gold Marketing Group received court approval and formally took possession of the gold rush treasure recovered from the SS Central America in 2014. 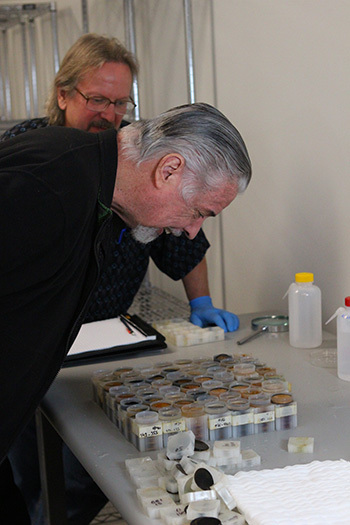 It had already been transported from Florida to the Professional Coin Grading Service headquarters in California, but remained in 38 unopened containers that were sealed in June 2014. 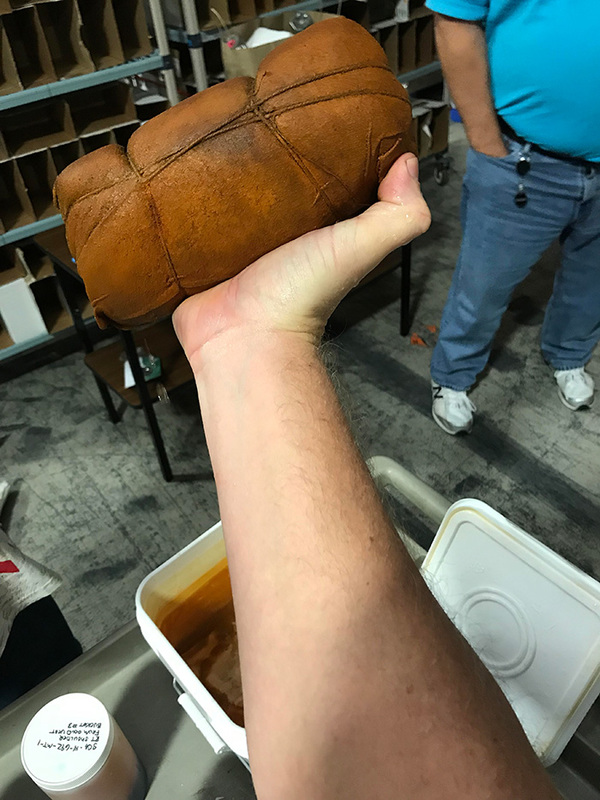 Manley and Evans promptly began opening the sealed containers on January 10, and started the careful process of examining, curating and cataloging the trove, one historic piece of treasure at a time. 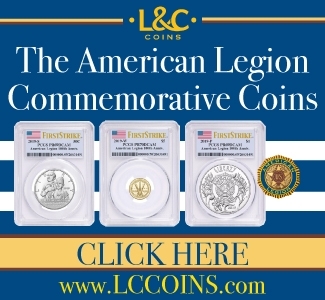 The three-day Long Beach Expo will be open to the public, Thursday to Saturday, Feb. 22-24, in the Long Beach, California Convention Center, 100 S. Pine Ave.
Are there any plans to exhibit this latest treasure recovery at other major coin shows or A.N.A. Conventions? It appears so, though we’ll have to get back to you for specifics. Is there a calendar of dates yet? I want to know if itnis coming to Texas.